This is Australian PM Malcolm Turnbull first visit to India after assuming office in 2015. 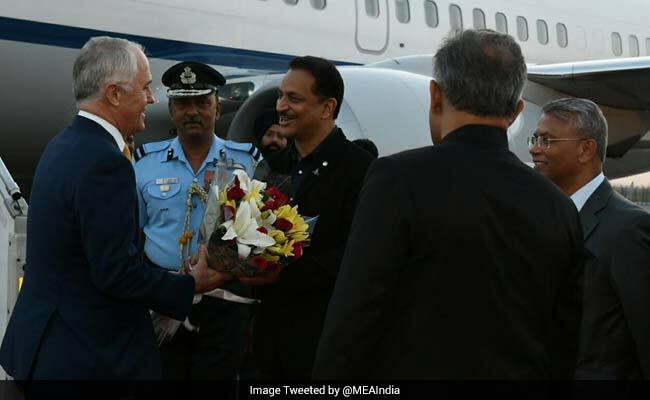 New Delhi: Australian Prime Minister Malcolm Turnbull arrived in New Delhi today on a four-day India visit during which he will hold talks with his Indian counterpart Narendra Modi on ways to boost ties in key areas including defence, security, energy and trade. However, the much-anticipated economic pact between India and Australia will not be inked during his visit. According to External Affairs Ministry, the two countries are likely to sign a number of MoUs covering a range of areas including defence and security, environment, renewable energy, sports and trade. It will be Australian PM Turnbull's first visit to the country after assuming office in 2015. India is also likely to raise the issue of security of Indians in Australia in the wake of incidents of attacks on some of them. Ahead of his visit, Australia's High Commissioner to India Harinder Sidhu had clearly said that the Comprehensive Economic Cooperation Agreement (CECA) will not be signed during the trip. "Negotiations are underway but the pact will not be signed," Ms Sidhu had said. 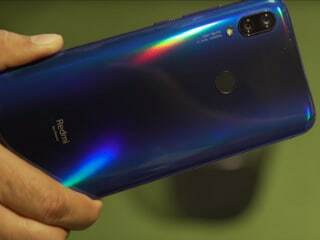 The talks for CECA were launched in 2011 and during the visit of former Australian PM Tony Abbott in 2014, the two sides had expressed the hope that the pact would be inked by the end of 2015, a deadline which has already been missed. However, the Indian side has reiterated its commitment to the free trade pact. Some of the sticking points in the negotiations include India's high tariff structure for dairy and agri products as also Australian wine. On the much-delayed supply of uranium from Australia to India, Joint Secretary (South) in the External Affairs Ministry Jaideep Mazumdar had said Australian parliament had cleared a legislation for the supply of uranium to India last year and now "commercial negotiations" for it are going on, indicating that there was no firming up of any such pact so far. While there is interest in Australian companies to be part of India's nuclear market, there are concerns in that country over safety regulations in India. Australia has about 40 per cent of the world's uranium reserves and exports nearly 7,000 tonnes of the yellow cake annually. Meanwhile, Minister for Education and Training Simon Birmingham, who is accompanying Australian PM Turnbull on the visit, said Australia will showcase its international education, training and research offerings during the visit to help it in its goal of upskilling 400 million people by 2022. "Australia is willing and well-placed to help India with its education aspirations, including its goal of upskilling 400 million people by 2022," Birmingham said. In India, Birmingham will have bilateral meetings with Minister for Human Resource and Development Prakash Javadekar and with Minister for Skill Development and Entrepreneurship Pratap Rudy.